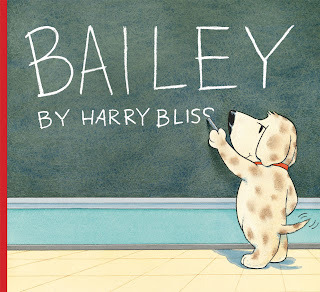 is a very funny new book about a dog named Bailey. Bailey is not your average dog. 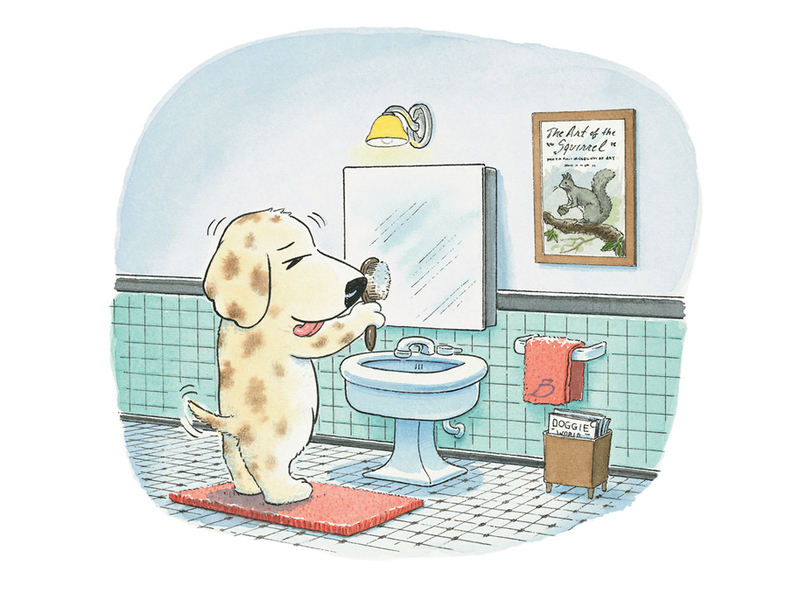 He keeps himself well groomed and he likes to look cool! Once he puts his backpack on he is out the door to catch the school bus. What, a dog at school? because after all dogs will be dogs. and the illustrations in this book are as cute as they can be! a fun read for your home library! Link up with Bailey here. 1. The give-away will run from Monday, August 29 until midnight on Thursday, September 1. 2. For a chance to win check out the links here and here and leave a comment on this post about something new you learned about Bailey or Harry Bliss from the links. 3. 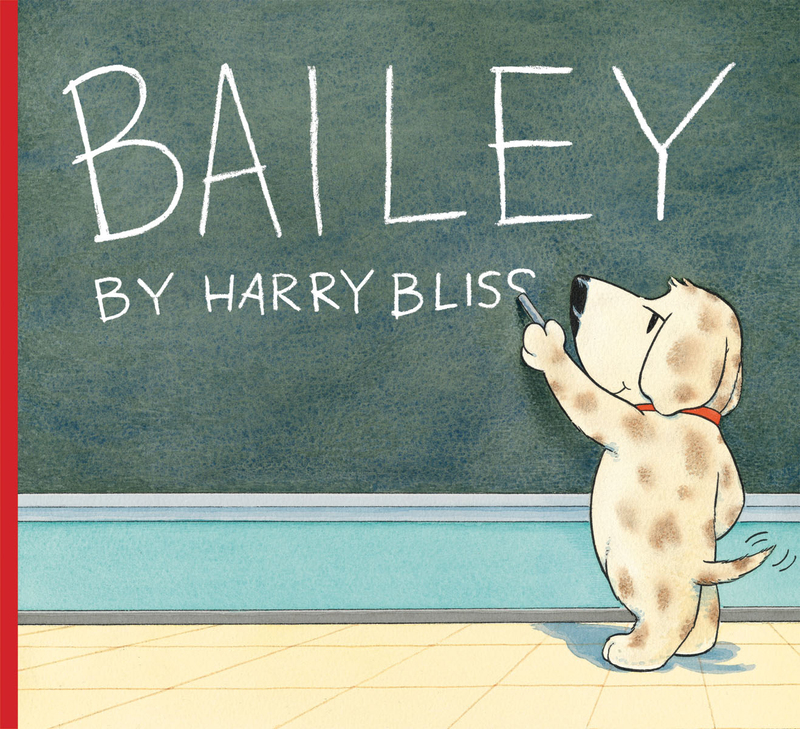 Three lucky winners will win their very own copy of Bailey! 4. Make sure that I have a way to contact you for your mailing address if you happen to be one of the lucky and randomly chosen winners. You may send your email address to grandmashelley@grandmaslittlepearls.com. 5. The winners names will be posted on Friday, September 2. 6. Check out this fun new book today and good luck! You know what I love? Bailey sounds like my little boys, always making messes! What a cute book! I love this book. My daughter has a dog named Bailey and 4 children, one special needs, who would LOVE this book. 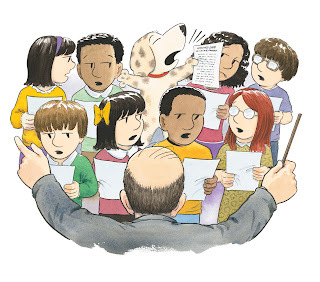 I love the fact that he illustrated "Diary of a Worm," another favorite of my grandchildren! If I don't win it, I'm definitely going to buy it and give it to my daughter to read to her children! What a cute book! I love the way Bailey accidentally paints with his tail! Amara would love it and if I win I promise to let her read it to me and we will both enjoy it. This is from a Grandma. I didn't know Bailey so I learned a lot. He goes to Champlain Elementary, he is great at math, he loves to read, and he eats his own homework.